This is my first time owning a luxury vehicle, so I can only compare it to the test drives I've taken of the competition. Overall, I am very impressed with the vehicle. The car has an incredible grip of the road, the acceleration is superb, and the torque comes in handy when overtaking others on the highway. I got the premium plus with tech package, so it came with bang and olufsen sound system which has a fantastic sound quality. I only have one small complaint with the navigation, compared to my last vehicle, it's a bit confusing and feels outdated. Over all, I couldn't be happier with my purchase. 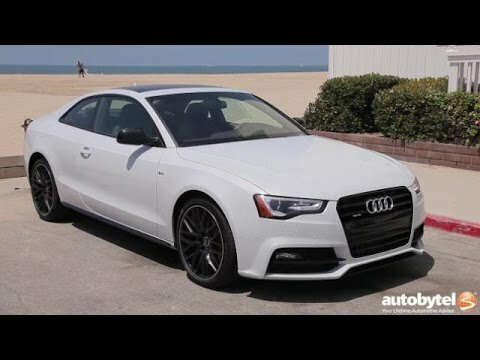 ***Update*** I've owned the car for just over two years now, and unless I all-of-a-sudden go broke, I doubt that I will ever get anything other than an Audi. Two years, 45,000 miles, and one long move halfway across the country, and the car is still exciting every time I drive it. An absolute pleasure, and honor, to own. A nearly flawless automotive experience. This is a nearly flawless automobile and owning it has guaranteed that I will be an Audi owner for years to come. I had one slight problem with the electrical system that was quickly remedied at no charge by my dealership, who threw in a free detail for my troubles. Everything you have heard about the Audi brand is absolutely true: they really are that good. It is gray and goes fast but it uses a lot of gas. And often has problems shifting gears when I am going up a hill or over bridges in the body of the car shifts at high speeds and rattles and shakes what's in a while something falls off hopefully I am not on the highway to come pull up for pick it up what is the forecast says that it important part I guess it is okay.